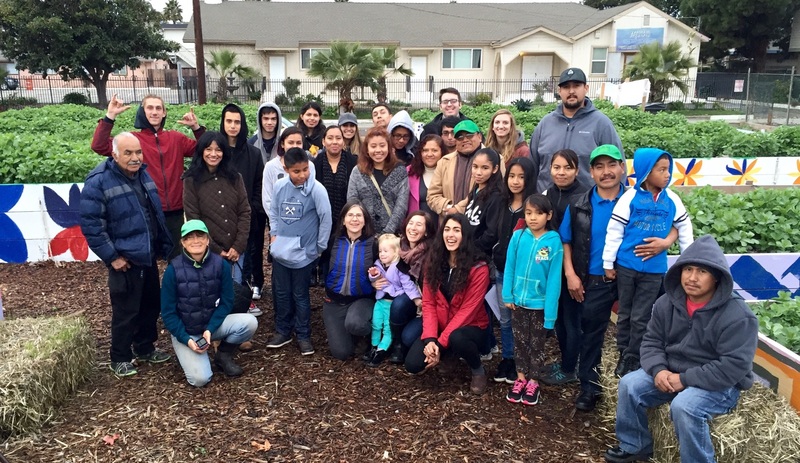 Growing Justice (GJ) focuses on urban gardens, food justice, and community well-being in Watsonville and Pajaro, California. 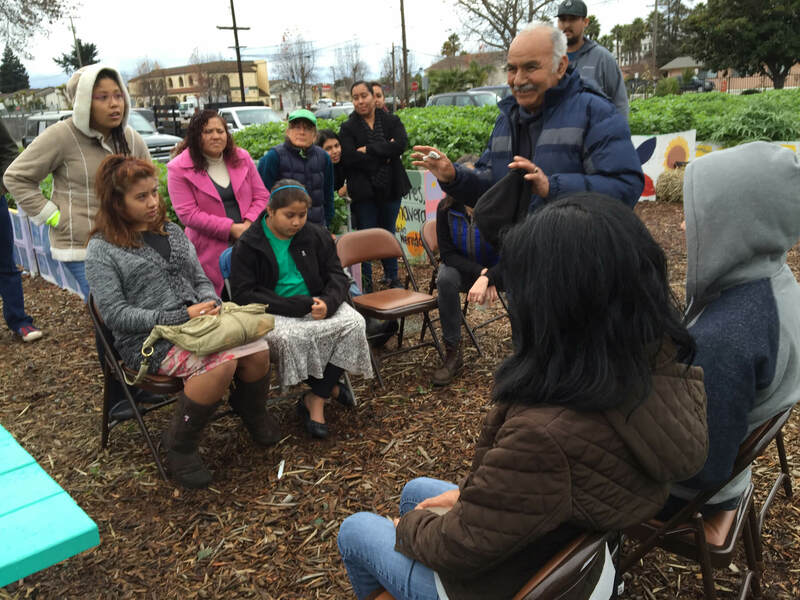 Despite their location in the agriculturally-rich Pajaro Valley, food insecurity is prevelant. Food security refers to sufficient, safe and nutritious food that fulfills household dietary needs and preferences. Often, the very people who labor in the food system are unable to put enough healthy food on the table for their own families. 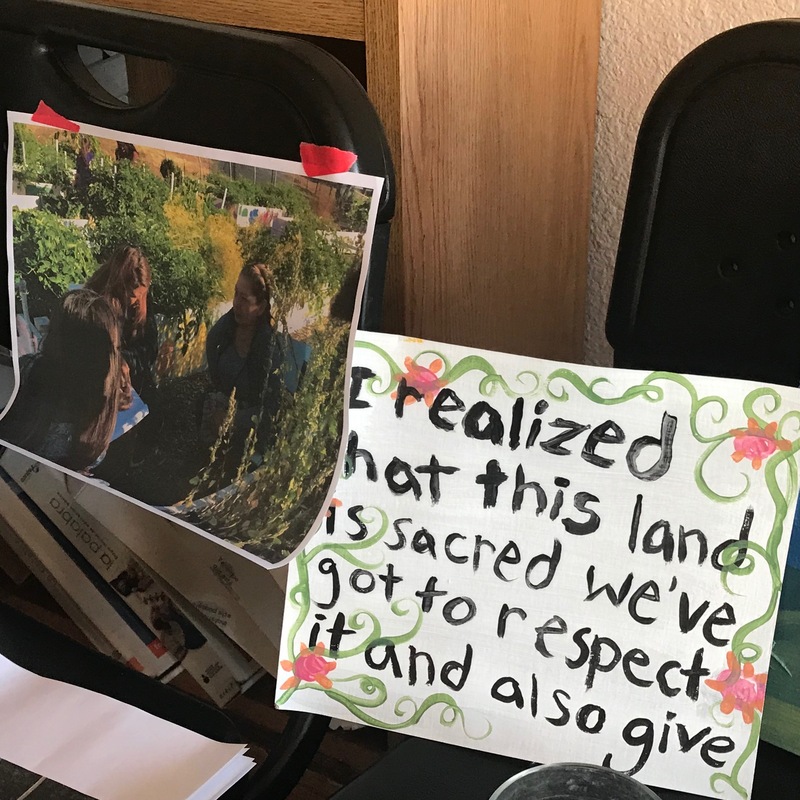 Initiated by Mesa Verde Gardens (MVG), urban community gardens involving low-income, primarily farm working families have emerged to address food insecurity & diet-related health issues while building community. However, data to evaluate the impacts of community gardening in promoting overall community well-being is lacking. CAN’s Growing Justice project, works with youth & MVG gardeners to co-create an understanding of the interrelated challenges of food insecurity, violence & poor environmental quality; assess the significance of community gardens; and gain practical skills that empower advocacy for & spearhead changes in our local community. 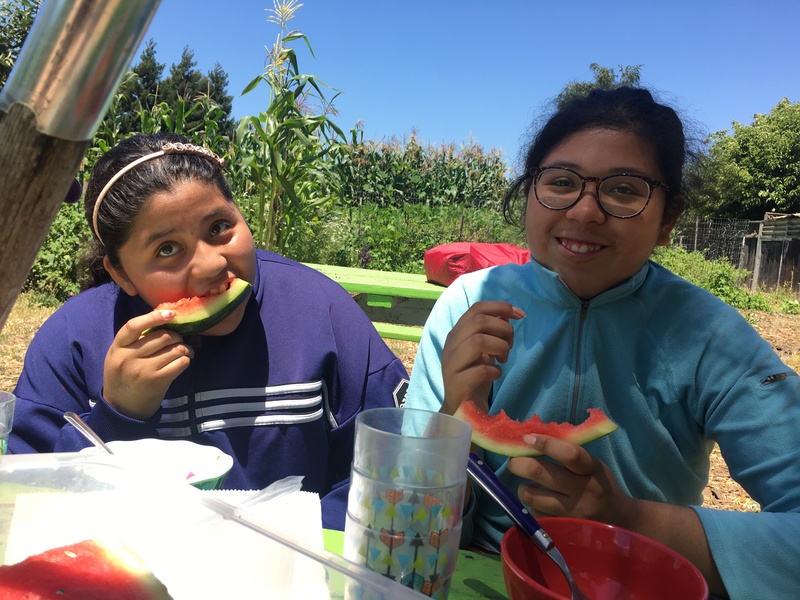 After two years of data collection, Growing Justice has transcribed multiple community narratives ‘testimonios’ from farmworkers, community gardeners, youth, mothers, and family members. Now, they are creatively sharing back the knowledge and experiences these stories hold through a mobile art exhibit called “Wisdoms of the Ancestral Kitchen”. 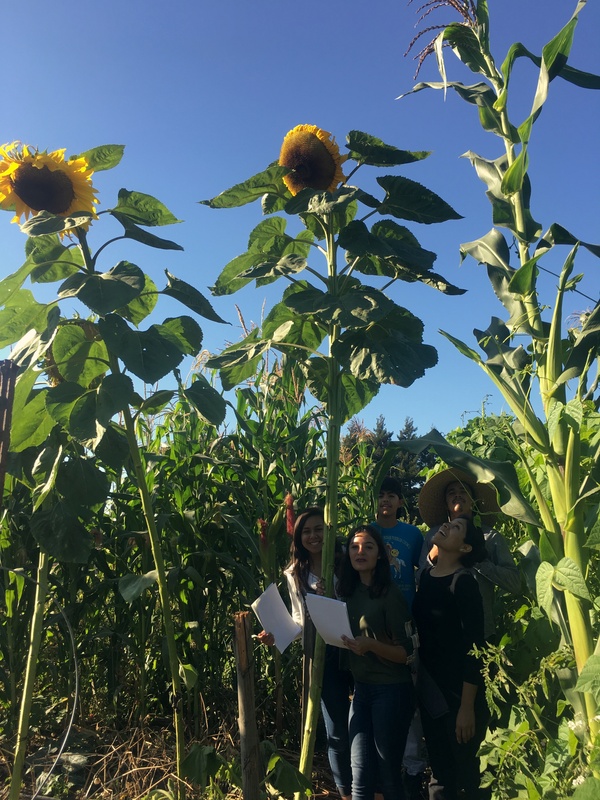 These share backs are key to community building and community accompaniment by GJ youth with MVG gardeners and the Pajaro Valley Community at large, as they seek to animate dialogue to propose alternative solutions to the challenges their community faces. CAN’s Growing Justice project was joined by UC Santa Cruz Professor Emily C. Cohen Ibanez‘ Visual Sociology Video Production Lab. 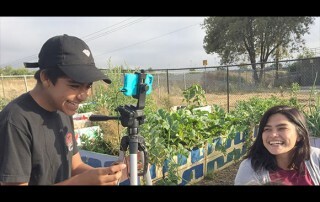 Through this unique collaboration, UC Santa Cruz students, CAN staff and youth community researchers, Mesa Verde Gardens, and the urban gardeners of River Park Garden in Watsonville, California, produced a 20-minute collaboratively authored documentary project. 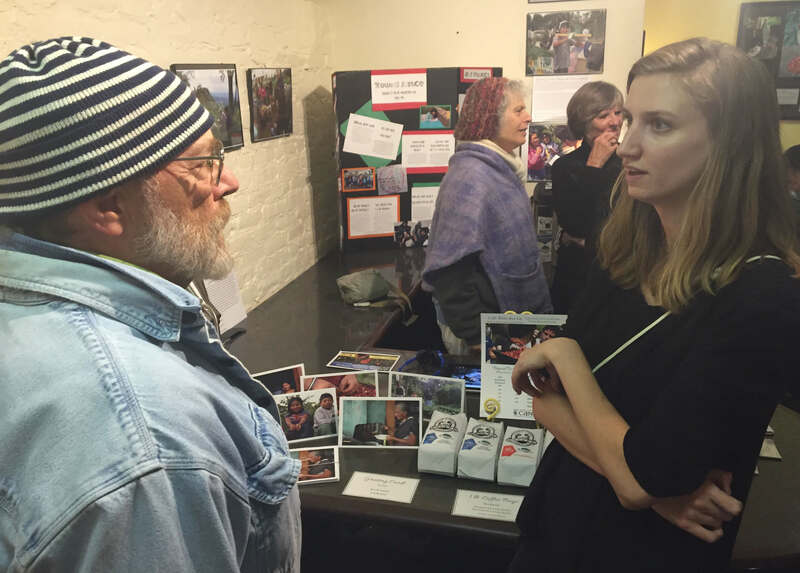 The aim was to listen and to help the gardeners tell their stories of migration, food justice, urban belonging, and gardening. Also known as the Strawberry Game, this game created by the Growing Justice Youth Team & modeled off of CAFOD’s Banana Split Game, looks into where your dollars go as they flow through the strawberry food system! Sign-up for our newsletter & join us at one of our events to play it yourself! The research will be conducted over a three-year period in order to adequately assess the impact of urban community gardens over time. 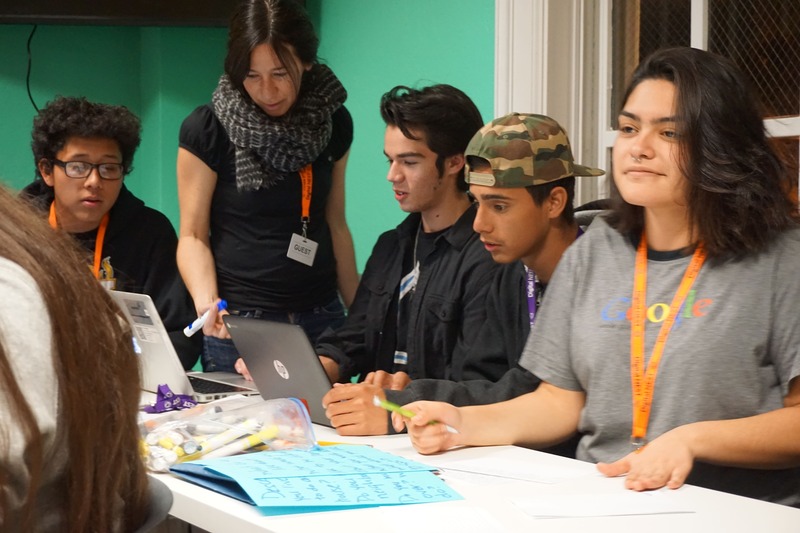 Local youth and University of California, Santa Cruz (UC Santa Cruz) students are being trained as community researchers who will participate in the development of the research design, data collection and analysis, and the dissemination of the results. 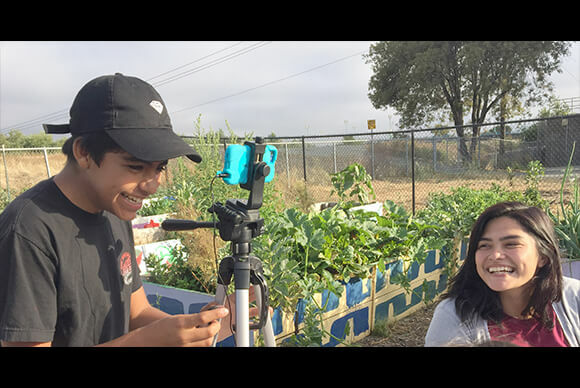 Data will be collected through regular participation in garden activities, interviews, and neighborhood walkabouts with individual gardeners, and workshops that engage gardeners in storytelling and community mapping. Yearly evaluations will be conducted, creating an opportunity for dialogue and ongoing assessment of the research design and outcomes for community members. Dissemination of research findings is an integral part of the PAR process throughout the three years of the study.Year 1 will focus on the development of gardener profiles, Year 2 will focus on the development of a community forum to present these profiles to the public, and Year 3 will focus on the development of a final report and a multi-media tool that will share the impact of community gardens on the lives and neighborhoods of communities facing food insecurity and how individuals and families can be empowered to improve their community’s well-being. 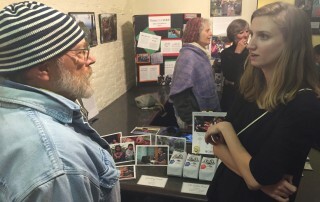 Amplifying the voices of those not traditionally heard among policy makers, researchers and local institutions. Smiles from Mi Jardin Verde (Mesa Verde Gardens) after a hot day of searching and identifying garden insects in July.